Ehud Barak, the Israeli Defense Minister, met with his Russian counterpart Anatoly Serdyukov on Monday to strengthen bilateral security agreements, as well as pay tribute to Russia's sacrifices in World War II. The meeting produced an agreement that outlines bilateral defense cooperation over the course of the next five years. The document is also designed to strengthen mutual resolve in battling terrorism, a phenomenon that is no stranger to either country. “We have just signed a long-term agreement on military cooperation between the two defense ministries…and discussed a number of issues involving military-technical cooperation,” Serdyukov said after talks with his visiting Israeli counterpart Ehud Barak. The Russian defense minister then stressed the importance of Russia strengthening its military ties with Israel. Serdyukov also told reporters that the Russian Armed Forces have already purchased 12 Israeli-built unmanned aircraft, and 50 Russian servicemen are currently being trained to operate them. “I believe today's meeting and the agreement signed will create serious long-term perspectives for cooperation between the two ministries,” Serdyukov said. The Israeli Defense Minister also had glowing words for his host, crediting Russia for its role in the defeat of fascism during World War II, which paved the way for the creation of Israel. The conversation then turned to the modern threat of international terrorism. Both men underlined the importance for cooperation against this global phenomenon. Barak agreed with his Russian counterpart, adding that "Israel closely follows Russia’s fight against unrest in the North Caucasus," and that both Russia and Israel suffer from the threat of radical Islamic terrorism. On Saturday, for example, a suicide car bombing tore through a military base in the southern Russian region of Dagestan, killing five soldiers and wounding dozens more. Meanwhile, several days earlier, four Israelis were killed by a gunman in the city of Hebron near the settlement of Kiriyat Arba. The Israeli military called the attack, which occurred just as Middle East peace talks were beginning in Washington, one of the worst terror ac in recent years. Given the grim losses that both countries have sustained from wanton acts of violence, the Israeli defense minister offered Russia sophisticated drone technology in their counter-terrorism efforts. Just below the conciliatory atmosphere of the Israeli-Russian meeting existed a palpable tension that the visit and security agreement are intended to mitigate. Recently, Israel expressed its concern over Russia’s intent to sell a batch of sophisticated cruise missiles to Syria, which is believed to maintain contacts with Hezbollah – Lebanon’s Islamist political and paramilitary group that experienced a 34-day war against Israeli forces in July 2006. Haaretz, the Israeli daily, reported on August 27 that Israel was trying to “thwart a Russian arms deal with Syria” regarding the sale of advanced P-800 Yakhont supersonic cruise missiles (NATO codenamed SS-N-26). 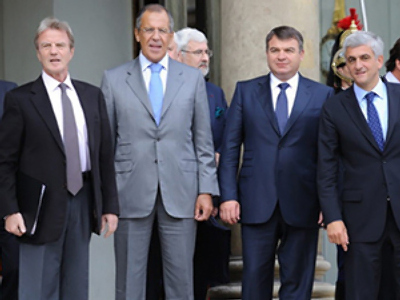 Sergey Prikhodko, a senior adviser to Russian President Dmitry Medvedev, told the state-run Russian news agency RIA Novosti that Moscow fulfills its agreements with foreign countries and would not renege on the deal. The highly accurate Russian-made “anti-ship weapon” has a 300-kilometer range that is capable of delivering a 200-kilogram warhead. Israel is concerned the missiles could significantly improve the Syrian military's ability to target its naval ships, thus seriously altering the military calculus in the region. The Chinese-made C-802 missile Syria presently has in its arsenal is less accurate, has a range of about 100 kilometers, and can carry a payload of no more than 150 kilograms. 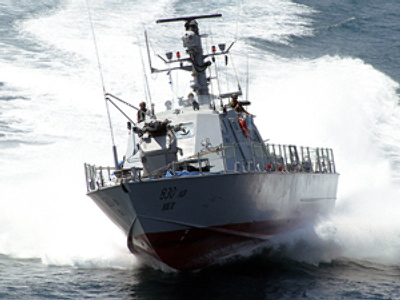 Jerusalem also fears the sophisticated weapons could fall into the hands of Hezbollah, the Lebanese militia, which may pose a threat to Israeli naval ships patrolling in the Mediterranean Sea. The Haaretz article reported that Prime Minister Benjamin Netanyahu allegedly asked his Russian counterpart Vladimir Putin to intervene and stop the deal with Syria. 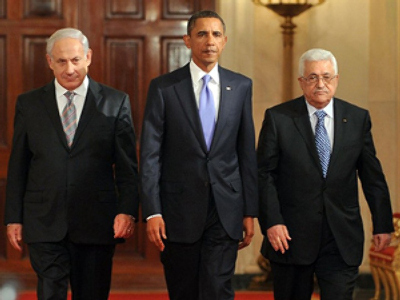 Barak may also voice Israel’s concern over Iran’s nuclear program. Last month, Iran began fuelling the Bushehr nuclear power plant, which was originally started by German company Siemens in the 1970s, before the Islamic Revolution halted construction. In order to ease nuclear proliferation concerns, Russia will supply fuel for Bushehr, as well as oversee the return of spent rods. Tehran says the nuclear plant is designed solely to generate electricity needs, while other countries, most notably the United States and Israel, believe is the latest step for Iran to acquire a nuclear bomb. Finally, Russia, together with the United Nations, the United States and the European Union, is a member of the Quartet on the Middle East. Last week, Israel Prime Minister Benjamin Netanyahu and his Palestinian counterpart Mahmoud Abbas ended a two-year breakdown in direct talks when they met in Washington for the resumption of peace talks. The Israeli and Palestinian sides agreed to meet again on September 14 and 15 in the Egyptian port city of Sharm el-Sheikh, and then about every two weeks thereafter. One obstacle to the peace deal, however, which is very much in Russia’s interest, involves illegal Israeli settlements in the West Bank. Although Netanyahu ordered a moratorium on the building activity until September 26, observers are concerned that the peace talks will collapse if the moratorium is lifted. Given the new atmosphere of friendship between Moscow and Jerusalem, there is the possibility that some creative thinking, in addition to some attractive concessions on both sides, may persuade Israel to sweeten any future two-state peace plan for the Palestinians. 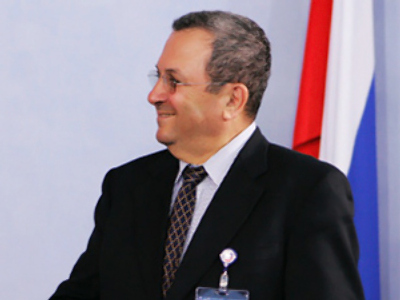 Barak also said he had invited his Russian counterpart to pay a visit to his country.